Click on the images to be taken to the links! I figured since the post is always growing I'll make a masterpost of all the parts. Part One is full and Part Two is in the works, and the one that's being updated now. UPDATE 12/21/17: I do not update this as frequently as I used to and I don't watch Supernatural anymore or really read any new stories HOWEVER this is still open to requests so feel free to request things! WARNING: If you have sent me a comment requesting fics and I have NOT responded back to you within a 3 week period please send the request to my email. I get so many comments on these posts that LJ sometimes assume they're spam and I never get notifications for that. So please be aware I am not ignoring you in anyway. This journal is FRIENDS ONLY. What that means is a lot of my personal posts are flocked, however, almost all of my fandom posts are unlocked. I am not adding friends back at this time but feel free to friend me if you like. If you want to know anything else about me or this journal please visit my profile for more information. Credit:Profile code is made by ddalgimonkeys the hunters only banner is made by temporalranger. However I am back into wrestling full swing writing stories, participating on tumblr and reddit with it so if that is your bag come find me on tumblr, reddit, or A03! Also as another thing of note all my bookmarks are now on Pinboard so if you have my old delicious link saved make sure you change it. Also I do get some PM's regarding this but, yes I am still giving out PDF's for those who request them. I'm just slower with answering requests at times but I do not ignore them, I also don't update the post as frequently as I used to but who knows? I may update again just very sporadically so don't feel ashamed to ask. I've been getting requests in lately so I wanted to make a blanket statement. Other than that, Happy 4th to you all! Hope you enjoy it. Hey all! Almost Christmas time and I'm sitting here in my house with two presents under the tree lol but that's what happens when you've been going to school full time and only have one income coming into the house. Just thought I would make a little update for you all concerning fandom, this journal and other things and stuff. I'm sure a lot of you have figured out by now that I quit watching Supernatural. I stopped halfway through Season 12 and haven't even went back to watch Season 13. It was slowly becoming something I wasn't enjoying or liking and I didn't want to tarnish my love for it any futher and with that sort of brings down a very long reign of being pretty central to the spn fandom. I don't write supernatural stories anymore, don't necessarily read new things either. Another cool thing I've been doing is tagging any of my PDF's I have saved on pinboard with *cherrypdf so you can search for them that way as well. I currently DO NOT USE delicious anymore I have moved everything over to pinboard and plan to delete my delicious so anyone still following delicious needs to move on over to my pinboard. I'm mainly on tumblr and reddit these days and I have reignited my love affair with wrestling again which has now become my main fandom. My tumblr is about 98% comprised of wrestling with like 2% supernatural. I am writing stories currently for wrestling and doing my fandom gig for wrestling. So if that's something you dig you can join me in the party. Just figured I'd update you all on what I am doing online now a days since I don't really use LJ anymore. *knock knock* is this thing on? Hey everyone long time no see. This isn't going to be a very informative update, just wanted to inform everyone I joined the world of instagram today. Which is very...weird to say the least. I've managed to stay away from twitter/instagram for awhile even if I sort of wanted to join just to keep up with friends/celebrities and what not. So I resisted out of some weird sense of...pride? I guess? Or morals? I don't honestly know. Anyway...I took the plunge and made a instagram. I likely won't post much at least at first. I posted one thing just to try it out. I really just wanted to follow wrestling instagrams and what not to stay up to date. So if you're curious I am black_cherry619 on instagram. It's been a rollercoaster of a ride for me these last few months. This will be my first birthday without my Mom which feels really strange to me, I guess it hasn't really kicked in as of yet. I've been seeing a therapist for my depression and anxiety since it was becoming unmanagable to the point where I felt it was deeply affecting my relationship with my boyfriend. I think in some ways it's helping though. I had to take a certification test yesterday for teaching and the last time I took a test like that I failed and I was so anxious going into that one that I was scared I would fail again. I was anxious but not as bad, and I don't know whether I passed yet or not but I feel confident that I did pass. We are planning to move out soon, I'm about to finish my last semester of my bachelors degree and things will be changing a lot for me once I graduate. I feel a lot of things in life has changed for the better, and some changes I still am having a hard time adapting too but it's definitely been one hell of a crazy ride. Hey guys just wanted to give you all a head ups of what I am going to be doing (undertaking really) in the next few weeks (maybe a month or so). I am currently moving my bookmarks from delicious to pinboard. For a number of reasons but mainly because delicious is basically a ghost site now. They don't care about it anymore, no updates are being given and the last correspondance from delicious was in April 2016. I know my delicious is sort of a hub for a lot of people. spn_littlebro has recently moved to pinboard as well and it's more reliable than delicious for a small fee of 11 dollars which I can easily manage. However, in awesome fashion delicious has shut down their export and import features so all 141 pages of my bookmarks must be moved over manually. I've convinved myself this is better so that I can weed out dead or broken links, re-tag much better or maybe add tags and organize more efficiently not only for those who use my bookmarks but for me as well. I'm an organized person. I may also be adding more PDF's in the near future after basically going over all my bookmarks and such so stay tuned for this huge transition. I'll have a huge reveal when it's done and maybe do some sort of PDF requesting thing or something. It's sort of the first big project I'm taking that relates to fandom and I'm sort of nervous about it since I've been away from reading fanfiction in general but I'm also excited to have something to focus on and do in light of my recent bout of depression. As that will be more up to date with newer tags and deleted bookmarks and such. Hey all, I haven't posted here in awhile so I figured I'd make a little update about myself and what I've been up too. Last time since we all talked I've been to a convention in Jacksonville and a wrestling event in Jacksonville in the same month! I recently purchased a new phone as well, a google pixel, which I'm in love with. I'm finally starting to feel like I'm on the right track with life now like I'm finally becoming an adult (even though logically I've been an adult for awhile now). It's been difficult the past few months with depression for me since my Mom passed away 6 months ago and my Dog died from cancer about 4 months ago. I've been having insane mood swings and my anxiety has been getting crazy out of control recently. I've recently been put on new anti depressant and anxiety medication that seems to work pretty well compared to my old one which is good. I take it everyday and that seems to increase my mood drastically, I've been in a funk where I'm constantly agitated, emotional and quite mean to my boyfriend which isn't fair to him but he gets the brunt of my emotions unfortunately since my Mother passed he's essentially my only one I have left that I sort of bear my heart too. However, those are depressing thoughts lets talk about some good thoughts? Me and Kim went to SPN Jax and had an amazing time! It was weird hooking up again after so long because we've both grown distant and are both suffering through weird times in our lives so it was a bit awkward but once we got into the swing of things it felt like old times. We've also grown closer I think, we've had to reevaluate our friendship and how we've both changed and I think we've grown to a deeper understanding than we were at before if that makes sense? 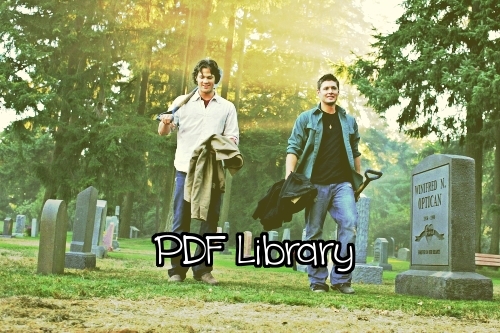 I also wrote my first fanfiction outside of supernatural, for wrestling of all things! I find that to be significant since I haven't wanted to really write in a long time. I'm trying to be more dilligent online though, I'm reading more and trying to move all my stories over to A03 and that's taking some time. I spend a good chunk of my time on Reddit for wrestling which has sort of overtaken Supernatural/Tumblr/Livejournal entirely but I always find a time to come back here. So what's up with all of you?